In a single sneeze or a cough, as many as 40,000 tiny droplets are forcibly propelled from the mouth and nose into the air. 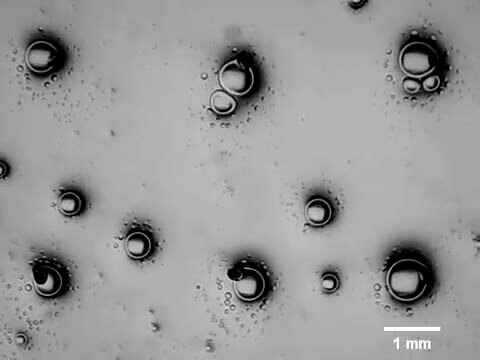 Researchers from City University of Hong Kong (CityU) have recently developed a method to collect micro-droplets such as these, which may contribute to applications in detecting disease-causing bacteria and preventing the spread of disease. The study, titled "Directional pumping of water and oil microdroplets on slippery surface," led by Dr. Yao Xi, Assistant Professor of the Department of Biomedical Sciences at CityU, was recently published in the Proceedings of the National Academy of Sciences (PNAS). 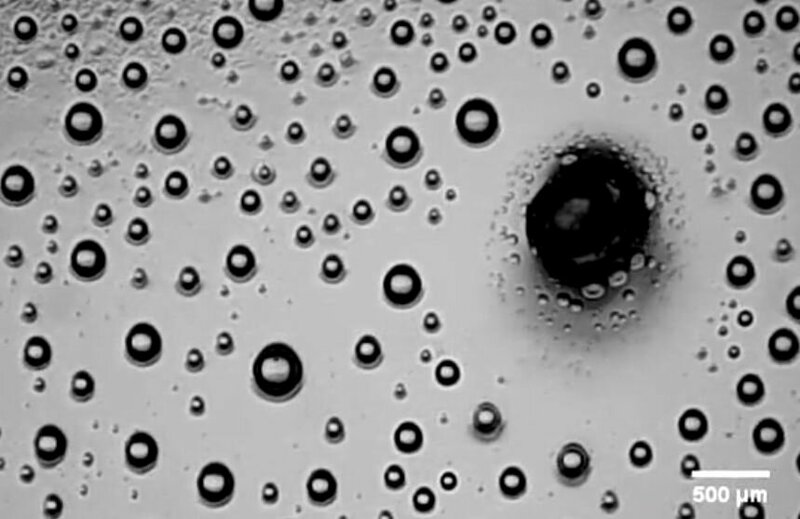 Moving oil and water-based micro-droplets without external force in a controlled fashion can be very useful in water harvesting and biomedical analysis. But it is quite difficult with micro-droplets. "Droplets at micrometre scale (one millionth of a metre) have very different properties than larger counterparts such as teardrops. Their tiny size and light weight means that the normal pull of gravity is insignificant in moving them," Dr. Yao explains. There had been other efforts to collect micro-droplets. However, to do it in a controlled manner, or to move a single droplet in a specific direction, has remained a challenge for scientists. But the team's innovative strategy to transport micro-droplets was inspired by phenomena exploiting capillary action observed in nature. The capillary force is important in the transport of water and nutrients in plants. Some water-walking insects also use the capillary force to move themselves off the top of water surface and to the shore. Capillary action is the movement of a liquid within a narrow tube due to surface tension and the adhesive forces between the liquid molecules and the tube. For example, examining a tube of water with a magnifier reveals a meniscus—a curve in the upper surface of the water near to the surface of the tube due to the capillary force. Furthermore, the capillary action can act on a meniscus to lift the liquid up the tube without the assistance of, and in opposition to, external forces such as gravity. Inside laboratory, Dr. Yao's team made use of the capillary force for directionally transporting micro-droplets on a slippery surface. Infusing a thin layer of silicone oil on a surface embossed with hydrogel mini-dots formed menisci around the dots. 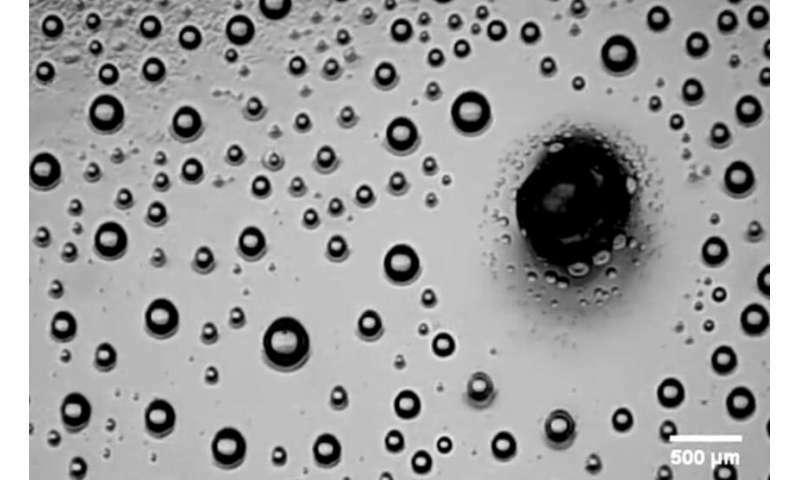 When the surface was sprayed with aerosol micro-droplets, the droplets would move toward the dots due to the capillary force. This strategy have several advantages. Dr. Yao's team found that it is applicable to all liquid droplets, including water and oil, which are immiscible with the infused oil. The strength of the capillary force is determined by the meniscus length. 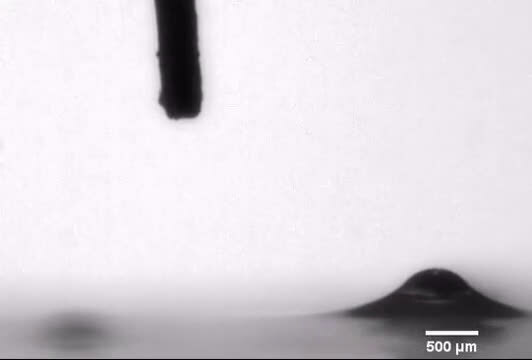 So an effective distance range for a micro-droplet can be estimated. Also, the movement is continuous and there is no risk of saturation. As long as the droplets are within the effective distance range, all of them will be collected accordingly. 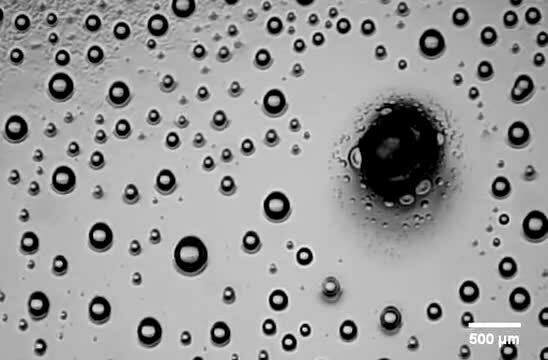 What's more, this strategy, unlike previous attempts, works well with just a single micro-droplet, which helps to identify the mechanism of the movement. The low fabrication cost, its wide choices of manufacturing materials and compatibility with liquid droplets could pave the way for practical applications, including fog collection, water harvesting, heat exchangers, microfluidics, and biomedical analysis or even bacterial killing. In their study, Dr. Yao's team used droplets containing either E. coli or S. aureus bacteria to demonstrate the potential application. They found that once collected in the hydrogel dots, it was easier to detect the bacteria in the droplets, which could not be easily detected in its otherwise scattered form. Dr. Yao says, "We could apply this simple yet robust technology to help identify disease-causing bacteria in an enclosed area. Or, to go even further, imagine if we could kill these bacteria by injecting biocides on the gathering hydrogel dot beforehand. It will be very practical in a populated area to prevent the spread of infectious disease."